The children, Miss Dale, Miss Thompson and Miss Bates invite you to share our world of learning. We are always challenging ourselves and in 2D we have a can-do attitude. We have begun a tough year but we've been working hard already. This page will be updated regularly, showing our work and what we have been learning. There will be photographs of us and our work, as well as any helpful links and information for parents at home. During our unit, The Good News, Year 2D enjoyed learning about how Jesus used his powers to help others. Our favourite story during this unit was Jesus feeding the 5000, so we created movie trailers on the I Pads to show the main events of the story. We hope you enjoy watching them. This is "Year 2 Christmas Play" by St Thomas of Canterbury on Vimeo, the home for high quality videos and the people who love them. Look what we are learning! We have begun to learn the story of The Little Green Dinosaur using actions and role-play to help us. We hope you enjoy it! (Follow the links below to watch the beginning, middle and end). As it is the start of the year, we have been focussing on key skills and number facts so that we are confident with number and place value. We have been using lots of practical equipment to be familiar with number and be able to partition, round and recall number facts. We have really got stuck into two books this half term. 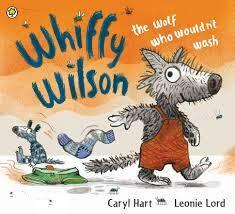 We began with a funny story called Whiffy Wilson, which was all about a wolf who wouldn't wash! After describing him in lots of yucky detail, we wrote to him to tell him why he must have a bath. We were glad when, in the story, Whiffy decided to have a bath. Take a look at our hard work, retelling the story. 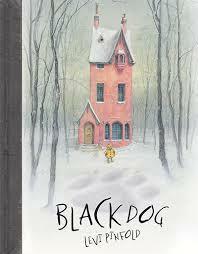 Our second book was a mysterious one, called Black Dog. We met a huge dog, who scared a whole family except a tiny little girl called Small Hope. She wasn't scared, and led Black Dog through her neighbourhood until he was back to a normal dog. We wrote LOADS about him: detailed pages from the book, a list poem, Tweets about him and video clips pretending to be him! We really enjoyed it, as you can see from all of our hard work below! 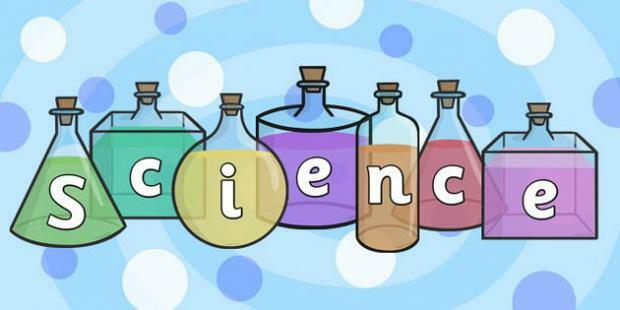 We have just begun a dinosaurs topic to help us to learn how to write interesting information pages. Can you believe we found some dinosaur bones in school?! We are in the middle of writing all of our facts that we've researched in fantastic information books. Stay tuned to see how we get on! In Religion this half term, we have been looking at how God has chosen us. Using our school mission statement as a starting point, we explored the gifts that God has given us and how we could use them in the best way. Then, using some of the Scriptures, we learnt how God had chosen individuals in the Bible to show us how he leads us. We particularly enjoyed looking at the story of Moses and Daniel. We have been looking at our local environment in Science, and how living things survive there. We started by thinking about what makes a plant a plant and an animal an animal by discussing their features and deciding how to sort them. We then became nature explorers and investigated what kinds of plants and animals call Kersal Dale their home. It was an awfully long walk there but it was worth it because we saw lots of different plants and trees, as well as bugs, squirrels and even a fox! We have also been thinking about what makes us different to plants and how we know we are alive. We will be continuing this unit after half term. Our History and Geography has focussed on 'Our Local Area' this half term. We have been looking at what kind of buildings and facilities we have in Broughton and begun to think how our area has changed in the recent past. We've also looked at where we live and can locate our address using Google maps, talk about our route to school and draw it in a map. In this topic, we have also looked at the famous Manchester artist, L.S Lowry and learnt about why he is a significant person. We have studied his paintings and learnt about the different landscapes he liked to draw. We really loved learning the song, 'Matchstalk Men and Matchstalk Cats and Dogs' and we also had a great time in a Lowry style workshop with a local artist. In PE this half term we have been working our coordination, balance AND listening skills with the help of Mr Thompson, our Sports Coach. We have been doing lots of ball control work using our feet, hands and bodies, as well as ladder work and team games. It has been really fun and hard work, but we love the challenge! It's great to be improving at such a rapid rate.